That is so sweet of you to give away so much nice stuff too. I love these new lines and the bling is to die for. with lance around there is always time for FUN and GoodTimes. Woohoo for Candy Land!! I can't wait! WooHoo!!! I'm seriously loving candyland and the pinwheels!!! Adorable! And the only thing you guys were missing was bling!!! Guess you got it now! Can't wait until I can get some!!! Cannot wait to see the new stuff you bring to class at Scrappin It tomorrow! I really love the pickle paper line.....I usually cannot afford it, but I will definitely be looking in next time I have some extra $....who knows maybe I will get lucky and win...that would be awesome!!!! This is absolutely amazing! My mind is whirring with page design possibilities already! love the new products!!! so upbeat!! just wish there were mosre LSS's around and that they would carry RP!!! and that Lance would get out here to Idaho so i could take a class. hope i can be expecting a RP "care package"
wahoo, more give aways! Thanks Lance! 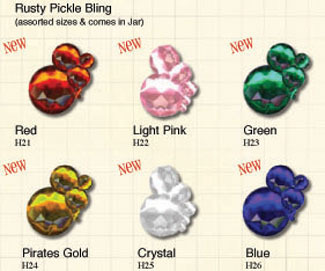 Fun giveaway, love all your enw bling and a large will just fit me thanks. Please, please, please give it to meeeeeee!!! :) The bling is making me sweat. In a good way. I love RP!!! Thanks for the giveaway chance! What a fun giveaway! Thank you. I am LOVING all the new lines that have released. Very FUN- my creative mind is spinning with ideas....thanks for doing a giveaway. Awesome products! Keep up the good work! Woo hoo Lance!!!!! What an awesome giveaway!!!!! I can have so much fun with those papers!!!!!! I'm already thinking of all the great layouts and cards I could create :) Thanks so much for the opportunity!!!! What a great giveaway. Here is Aussie it may be a while before we get the papers so it would be great to win this fantastic prize and get a head start. Thanks so much for the opportunity to win, Lance :) I so wish I was in Chicago to take a class or two with you. Can't wait for the new goodies to start shipping! Thanks for all the great prizes this week! Your paper is crack and I am an addict!! This new stuff just blows me away! 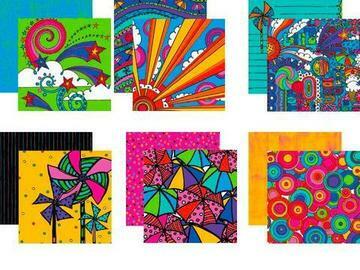 WOW - -I just love those papers! Oh, pick me! I'd love to win these goodies. Everything looks so cheery! I kept returning for more cherries at CHA. Thanks for keeping me energized! Wow, have I been missing out!!! I did not realize you had your own Blog! Saving it to my favorites right now! CandyLand looks so bright and fun. I would love a chance to play with both lines. Please pick me. I would love me some RP goodness!!!! Oooh Lance!! Each year just gets better and better. This year is no exception. I would just be tickled if I got picked...I love all the PICKLISCIOUS papers. Hi!! I love your new lines!!! pick me please!! Love rusty Pickle!!! I'm keeping my fingers crossed for some "candy and bling". I know the perfect layout for this!! Hope I'm not too late and haven't missed the chance to enter!! 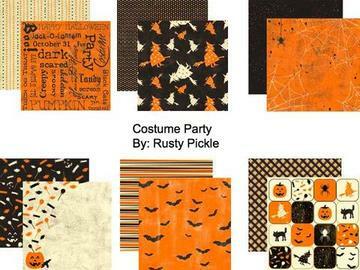 I have said it before and I will say it again - I LOVE RUSTY PICKLE! Hope you had a great show! such cool new lines, and that bling!!! WOW!!! totally cool!!! would love to play with all that fun product!!!! what a cool giveaway also!! WOO HOO!!! Oooh, I sooo want this prize pack!!! LOVE it! I just love the look of that bling, great colors. Loving it! Great new ranges! Cheryl in the UK !! Love both lines and the Bling looks fabulous! These new releases are so much fun, love the colors! What gorgeous paper!! Thanks for the chance to win! woo hoo, you gotta love a rusty pickle giveaway! awsome prize i'd love to win! Oh geez- what an amazing prize I'd love to win!!! Hi Lance! Let's hear it for CHA and giveaways! Whoo-hoo! Thanks! I know that I'm too late - man I sure would love to win.